As promised last week, here is our gluten free version of the savory brioche pockets. They were easier to make than originally thought, but required an additional 10 tablespoons of flour to achieve the right consistency described in the book. Our trusted old stand mixer ended its life during the creation of our last cook book, and we have not been able to replace it since, holding out hope for a pro KitchenAid. But it turns out, with a little effort, one can make this recipe using an ordinary hand mixer. Maybe we can credit the blend of gluten free flours for allowing this, a heavier wheat dough might not cut it. In all fairness, we did not have to run the mixer for the 15 plus minutes suggested in the book. We managed to achieve the desired results in about 10 minutes, with the mixer running warm, but still alive. Using our blend of gluten free flour, consisting of brown rice flour, potato starch, teff flour, sweet rice flour and tapioca flour, we created the sponge as called for in the recipe, but added one cup of warm water. Gluten free flours can go one of two ways, either too dry or too wet, the latter being the most common problem. However, this sponge was different, 1/3 cup of milk just didn’t do it justice. With the extra liquid the sponge developed beautifully, after rising for 40 minutes. Outside of the obvious changes, i.e. gluten free, we pretty much followed the steps outlined in the recipe for the dough, using the same flour blend mentioned earlier, with the addition of 1 teaspoon of psyllium seed along with 10 tablespoons of extra flour. The dough was fairly light in consistency, rose beautifully, more than doubling in size within 2-1/2 hours, but we feared it would not survive any length of time in the refrigerator, so we left that step out completely. While the dough was still rising, we prepared the filling using potatoes, small portabella mushrooms, chopped green onions, finely chopped basil leaves, cream cheese, cottage cheese, and a small onion, finely chopped and caramelized. To our great surprise, the dough was easy to work with, and allowed for easy shaping into pockets. For those of you familiar with gluten free baking, you’ll know what we mean, that a lot of these kind of doughs tend to “crack” or break with a lot of handling. Yet, amazingly, this dough was up to the challenge. We brushed the finished brioche pockets with an egg wash and baked them for about 27 minutes. Since we finished making this during the late afternoon, the pockets became a quick and very delicious dinner. We absolutely loved them. The filling is amazing and perfectly compliments the flavor of the dough. As an alternative, this dough would also lend itself for making great pasties. We’ll definitely be making this recipe again, experimenting with a variety of fillings. If you would like to get the original recipe, please check out Carrie’s beautiful site Loaves and Stitches, as well as all the creative contributions from the other Doristas. Lovely! Once again, I am impressed by your GF adaptation. 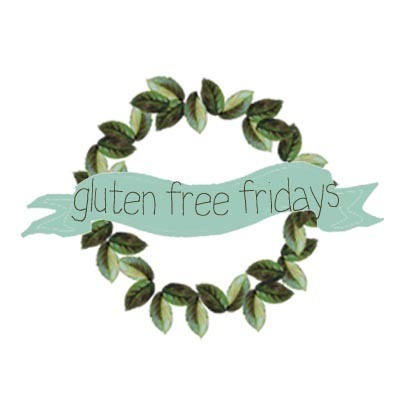 Great post, I am always interested to see how to adapt these types of recipes to gluten free. Thanks for stopping by my blog to welcome me to TWD. I like your filling adaptation! Glad to hear that you enjoyed the recipe. As always, amazed at how you can make these recipes gluten free. I think your pockets look wonderful.